If you have been injured, experience matters! Failure of physician and nurse to recognize signs of fetal distress and act in a timely manner after mother was given Pitocin to induce labor. Failure of labor & delivery nurse to notify the physician in a timely manner of findings on baby's fetal heart monitor. The patient underwent an elective tubal ligation following the delivery of her child. The case involved failure to diagnose. Accidents happen every day. Some accidents are nobody's fault and only result in minor injuries. But many accidents are much more serious–even deadly. Thousands of Tennessee residents suffer life-threatening injuries each year in traumatic accidents. And many of those accidents are the direct result of negligent acts by others. As any victim will tell you, the injuries from an accident do not always heal right away. Injuries sustained in an auto accident–or even something seemingly trivial like a slip-and-fall at the store–can require multiple surgeries and months of rehabilitation. And tragically, in some cases victims die from their injuries. When you have been injured as the result of another person's negligence or wrongdoing, you need more than a lawyer who can file paperwork. You need an attorney who will stand up for your rights against insurance companies and when necessary take the case to trial. 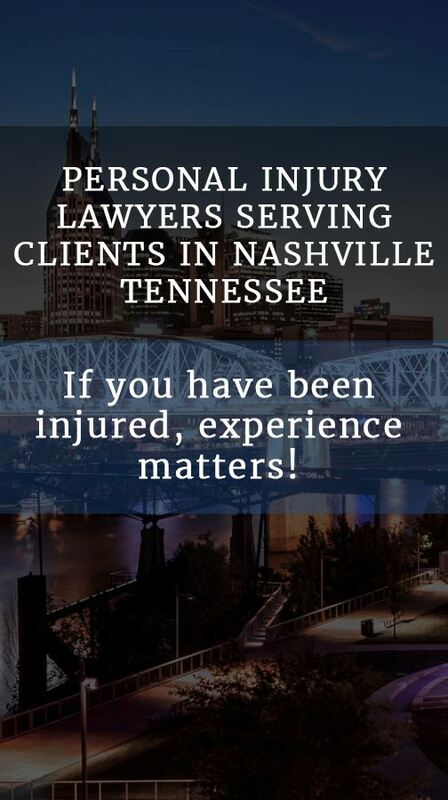 Bednarz & Bednarz is a team of experienced Nashville personal injury lawyers dedicated to helping accident victims obtain the compensation they deserve. In addition to serving clients throughout middle Tennessee, we routinely handle cases throughout the state, including Memphis, Knoxville and Chattanooga. We have also provided representation in many other states including New York, Kentucky, Pensilvania, and Indiana. Of course, no amount of money can make up for the toll of your physical and emotional injuries, but you should not have to suffer financial losses as well. Our attorneys will work tirelessly on your behalf to make sure the negligent parties pay for what they have done to you. Our accident attorneys never give up just because a case gets complicated. We have a solid reputation for taking tough cases to trial and beyond when necessary. Our tenacity and diligence has led to some of the highest personal injury verdicts and settlements in the state. We regularly provide guidance and support in a wide variety of injury claims, including: Vehicle accidents, Wrecks involving motorcycles and ATVs, Medical malpractice, Work accidents, Social Security disability benefits, Wrongful death, Defective products, and more. Auto Accidents - There are roughly 1,000 traffic-related fatalities in Tennessee every year according to state officials. That is more than 2 people killed each day. Many thousands more suffer serious injuries in rear-end accidents, side-end (T-bone) accidents, commercial truck accidents, DUI and distracted driving accidents, motorcycle accidents, bicycle accidents, and pedestrian accidents. Premises Liability – All Tennessee property owners have a legal duty to keep their premises in reasonably safe condition, especially when members of the public are invited in, such as with a store or business. If a property owner fails to correct a known hazard–or was unaware of a dangerous condition but should have been–they can be held legally responsible for any injuries to patrons or other lawful visitors. This can include slip and fall, trip and fall, and negligent security injuries. If you have been in a serious accident, you may be reluctant to contact a personal injury lawyer. You may not want to deal with the hassle of a potential lawsuit. But as your medical bills, lost wages, and pain and suffering continue to mount, you soon realize you need to act. Our attorneys have over 60 years of combined experience in dealing with personal injury claims. We know how to thoroughly investigate an accident and deal with the negligent parties' insurance companies on your behalf. In many cases it will not come to litigation. Insurance companies are far more likely to offer an equitable settlement when they know the victim has qualified and aggressive representation on their side. Do not delay. Call Bednarz & Bednarz at 615-256-0100 as soon as possible following your accident. We are happy to schedule a free consultation to discuss your case and how we can best serve you. Having an experienced car wreck lawyer in Nashville, Tennessee, can make a big difference between getting what you deserve and getting nothing. If you have received an injury while riding a motorcycle, you should be aware that motorcycle accidents are treated differently than car or semi-truck accidents. Both Joe Bednarz, Sr. and Joe Bednarz, Jr. are licensed pilots which give them a unique perspective and advantage in investigating and pursuing airplane accidents. When you buy a product, you expect that it will be safe for its intended use. If a dangerous or defective product that you have purchased or borrowed injures you or a family member, you may have a legitimate product liability claim. Pharmacists and doctors can be held liable under a medical malpractice theory, in other cases, people are injured every year from drug products that should have never been put on the market. Most accidents on construction sites are covered by workers' compensation. However, a construction accident can be multi-faceted. More than 85 percent of all claims are denied at first, however, many of those very same claims are approved on appeal. Medical malpractice or medical negligence occurs when a medical provider, whether a doctor, or other health care professional, acts in a manner that deviates from the accepted standard of care in the medical community. We represent injury victims and families throughout middle Tennessee who have been affected by medical malpractice and medical negligence. Birth trauma includes any injury that occurs during the labor and delivery process, and it is too often the result of a doctor, nurse or hospital's negligence. 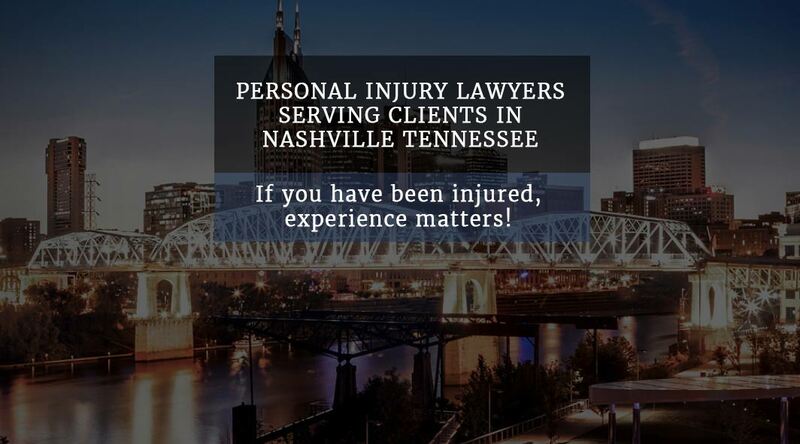 CONTACT AN EXPERIENCED NASHVILLE PERSONAL INJURY LAWYER Your claim will benefit from the experience of our lawyers and staff.